Kindly place your wallets, purses, jewellery and all other valuables in the swag bag as Codemasters announces HEI$T ï¿½ an all-new job pullin', bank robbin' action-driving game set in a gritty San Francisco, circa 1969. Currently in development at inXile Entertainment (The Bard's Tale, 2004), HEI$T has gamers taking charge of a group of renegade criminals as they rob, steal and shoot their way throughout the city, all the while their sights set on the big score: taking the San Francisco Mint. 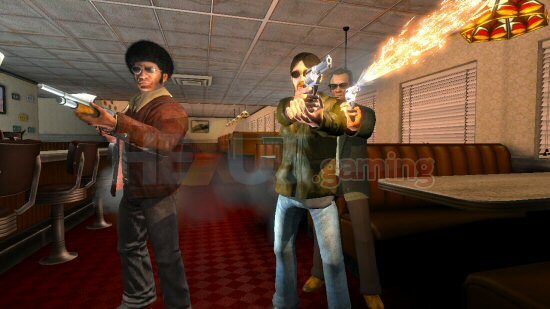 HEI$T is expected to ship Q4 2007, for next generation consoles and PC. It's 1969, the summer of love in San Francisco. Enter Johnny Sutton, fresh out of jail and a descendant from a long line of big-time thieves, including his father who was gunned down during a job some years back. Playing as Johnny, and together with his Uncle Sal and reunited crew, players are set pull off dozens of heists that will inevitably make a name for him as the greatest bank robber of all time. In addition to knocking off banks, each with their own set security precautions, throughout the city, players will be highly motivated to pull off further jobs. These include raiding bars, restaurants, strip clubs, armoured cars, and more in order to acquire the bigger and better tools needed to penetrate the increasingly more difficult banks. And what great bank robbery is complete without ending in a hot pursuit police chase? 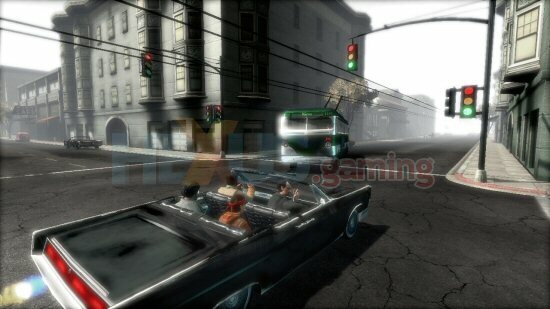 After each hit, HEI$Tï¿½ will challenge players to make a quick getaway, speeding and screeching through the streets of San Francisco as the cops trail inches behind. The Fuzz will do everything within their means to prevent the great escape; they will bump and ram, form barricades, and attempt to force PIT maneuvers to spin the getaway vehicle out of control ï¿½ always trying to keep civilian losses to a minimum of course. "We designed HEI$T so that players feel like a part of the best robberies and car chases from classic movies," states Maxx Kaufman, Creative Director at inXile Entertainment. "Everything from the different types of jobs to pull and the reckless pursuits by the police through the streets of San Francisco, to the sarcastic banter back and forth between the members of the crew, gives HEI$T the action and style of the great attitude and rock-driven films of the 60's."